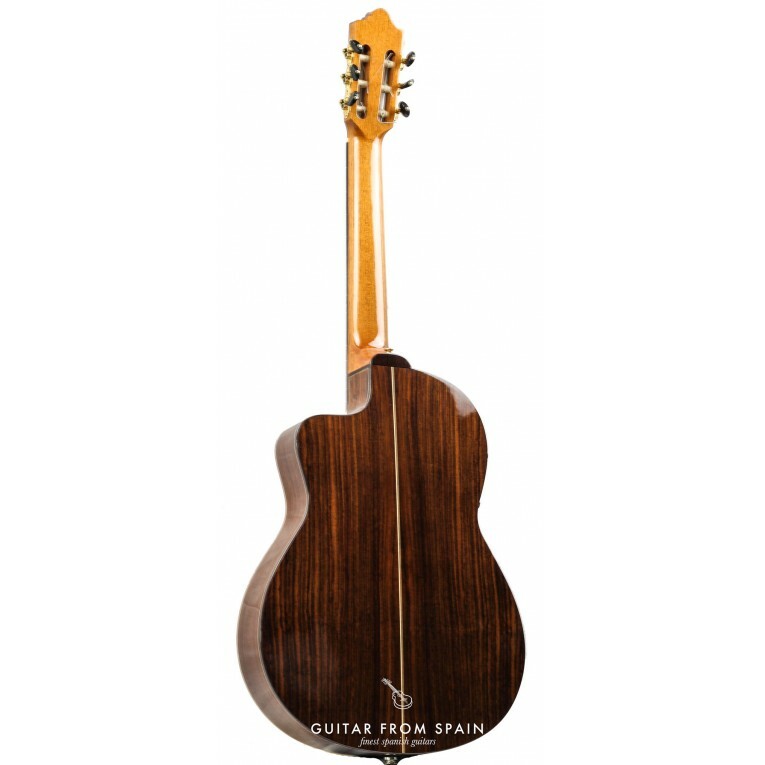 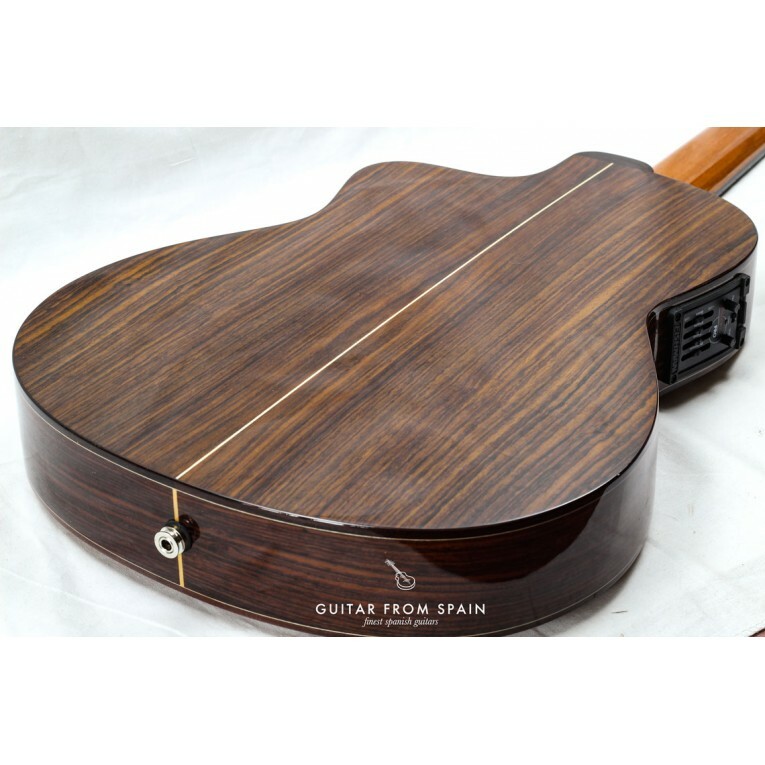 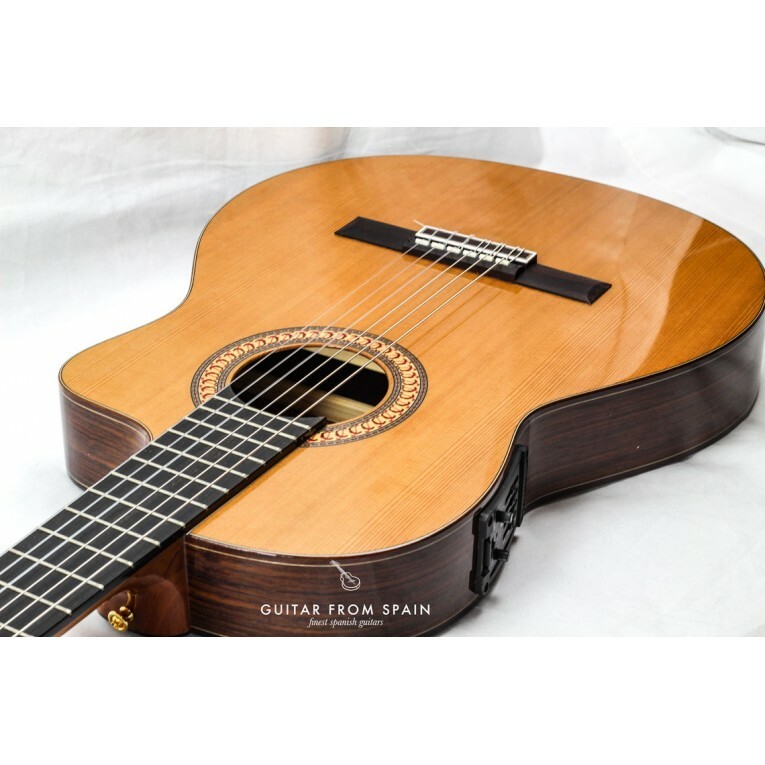 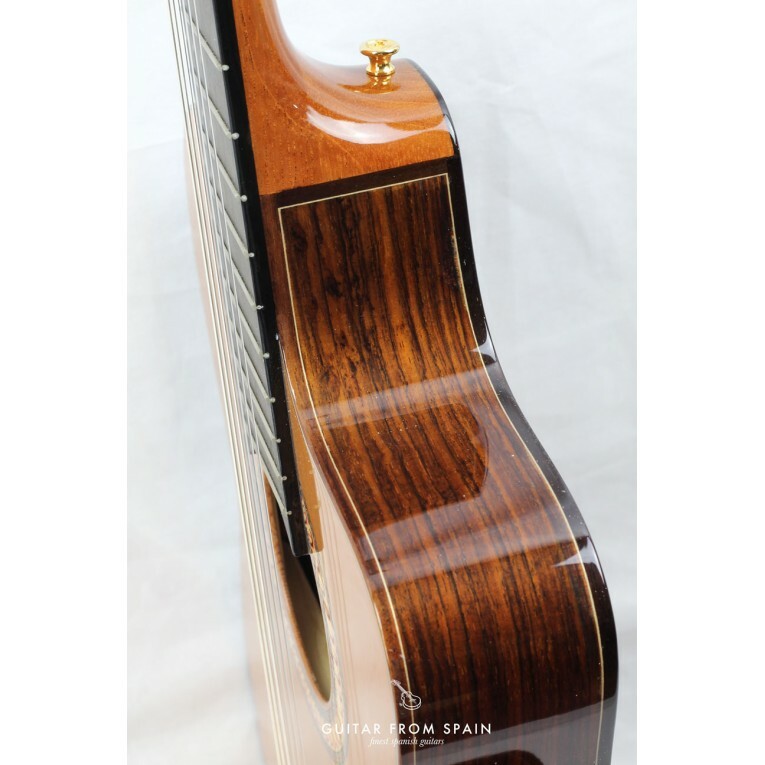 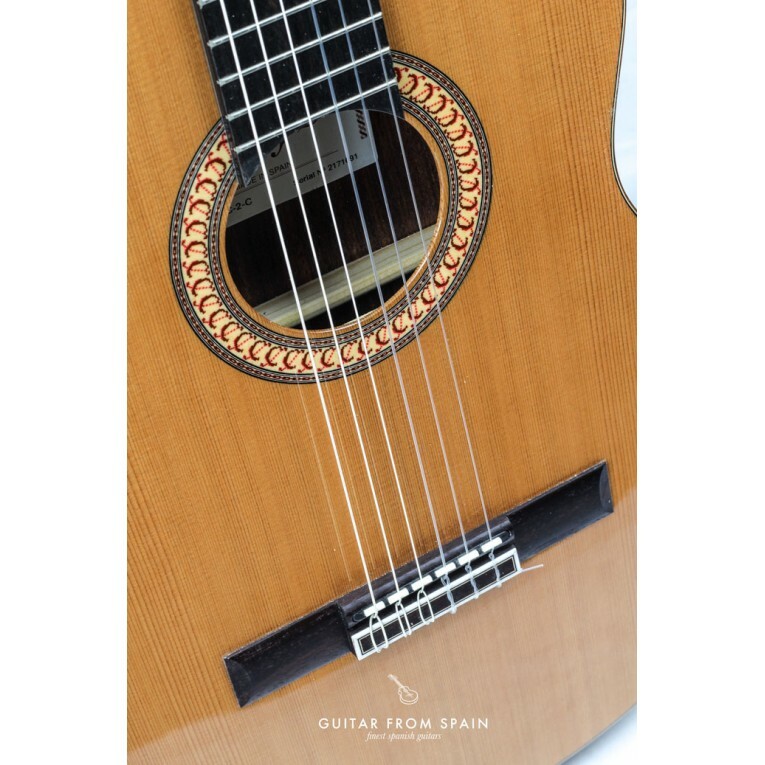 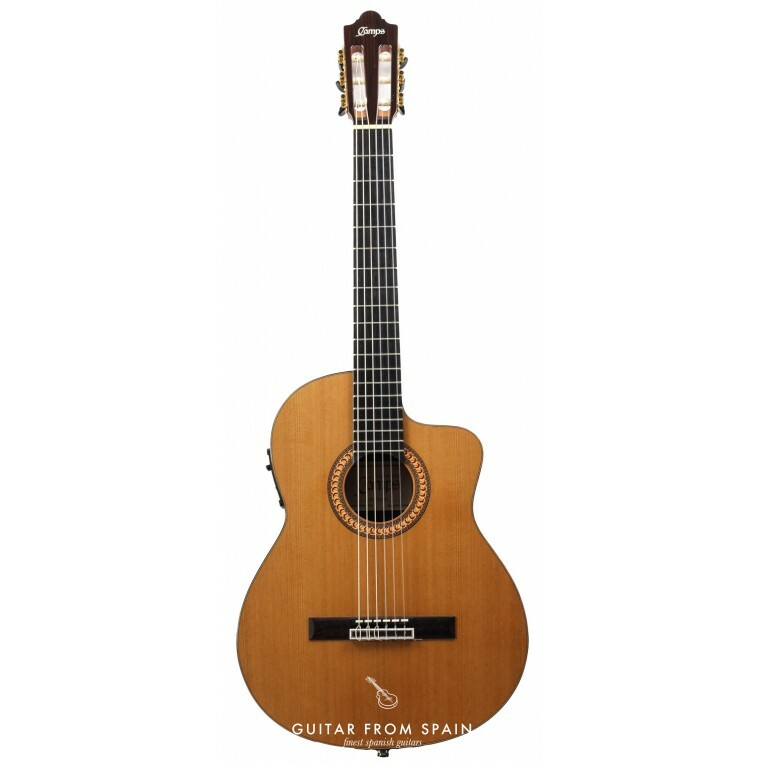 The guitar Camps NAC2 from Camps guitars is a professional yet affordable electro classical guitar with narrow body (70mm) and cutaway made in Spain with select woods. 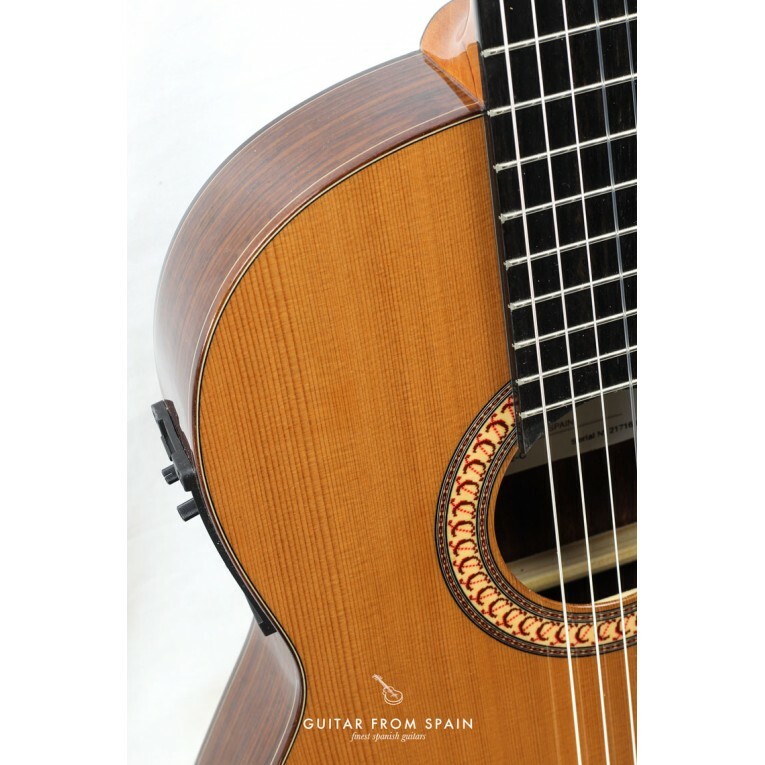 This guitar is addressed to restless players. 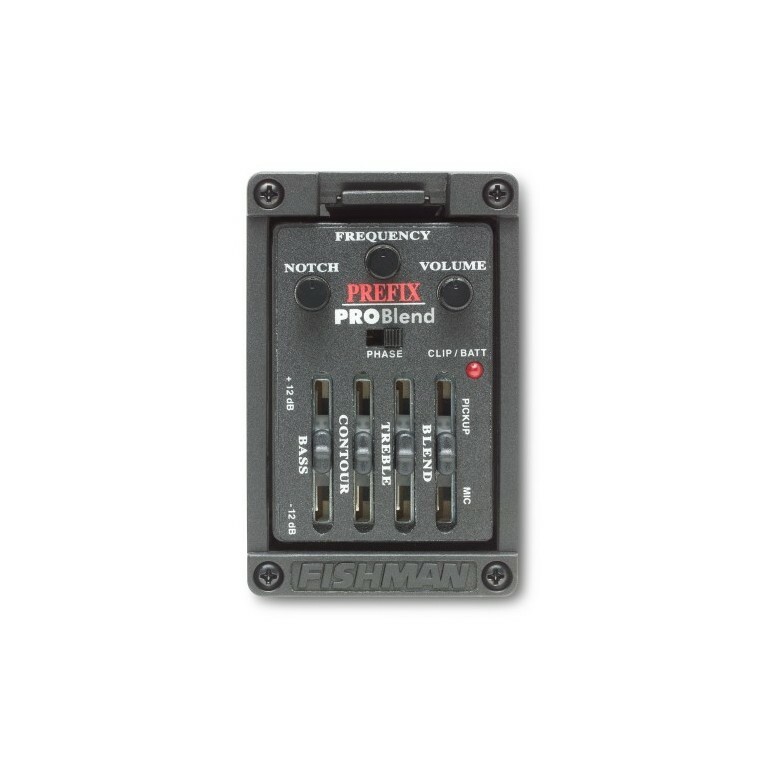 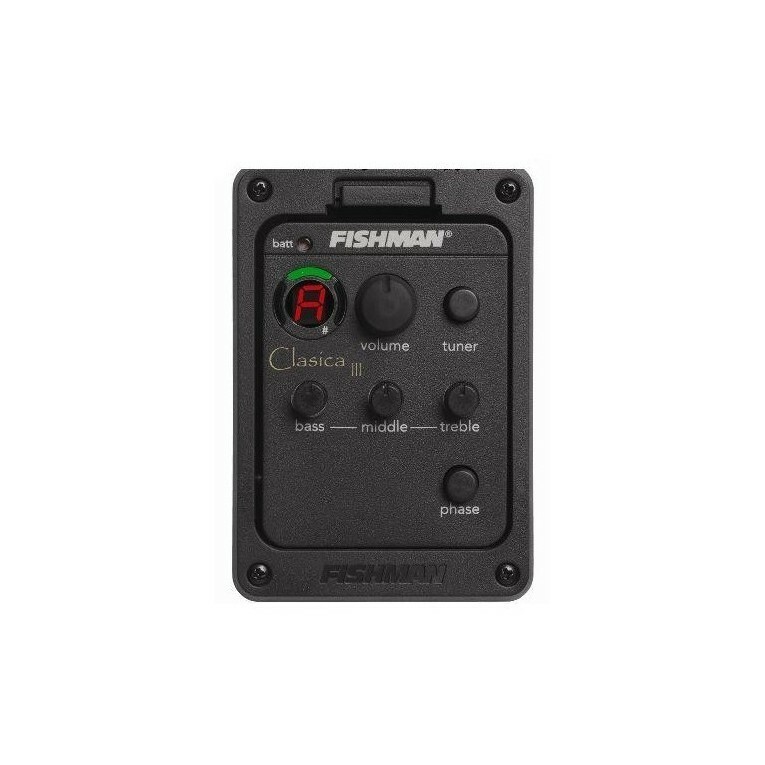 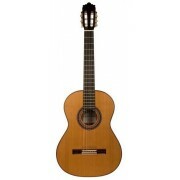 It is designed to provide a wonderful playability. 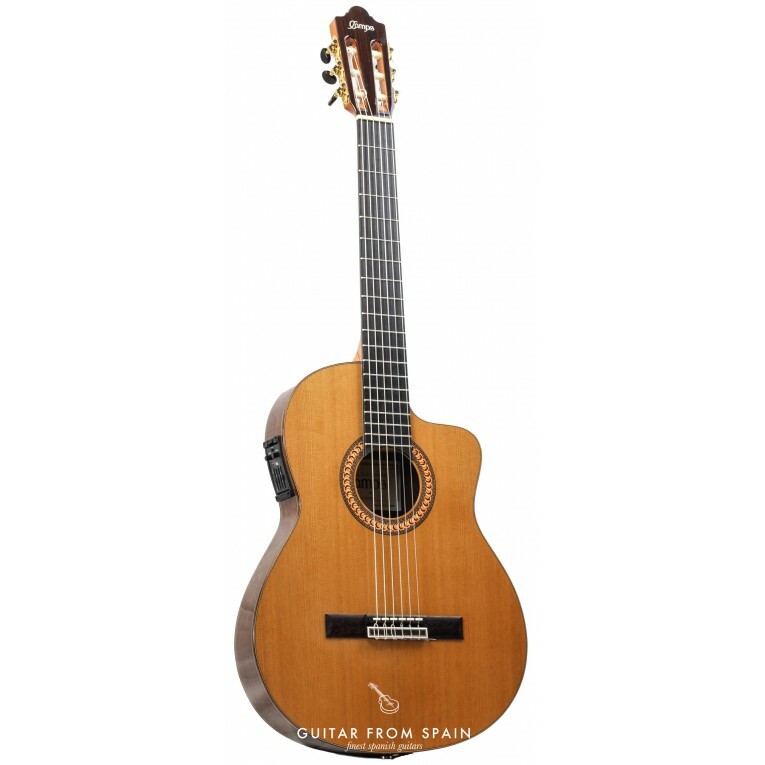 It is achieved because the action of the strings is adjusted in order to facilitate the action, the neck is made in such a way that the left hand slides softly and the narrow case. 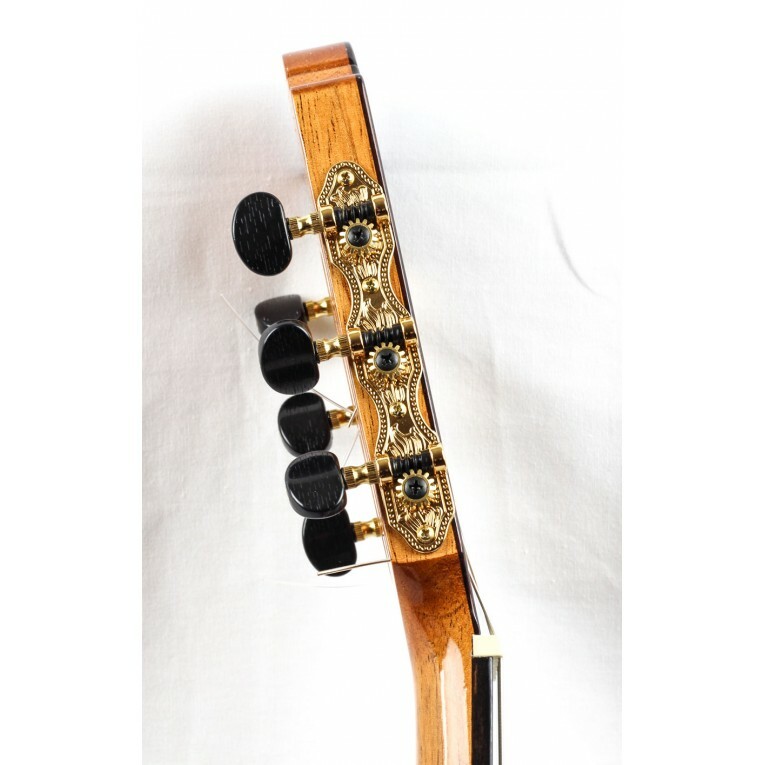 Moreover, it contains an adjustable truss rod inside the neck, which has a double effect. 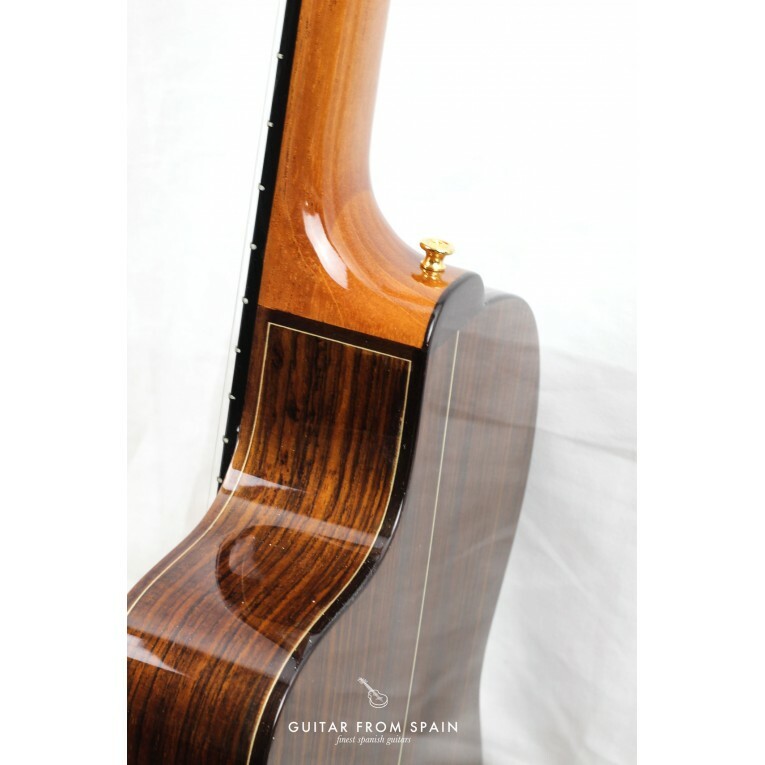 On one hand bending problems are avoided, and on the other hand it is possible to build narrower necks, getting thus the desirable ergonomics - so that the left hand plays effortlessly. 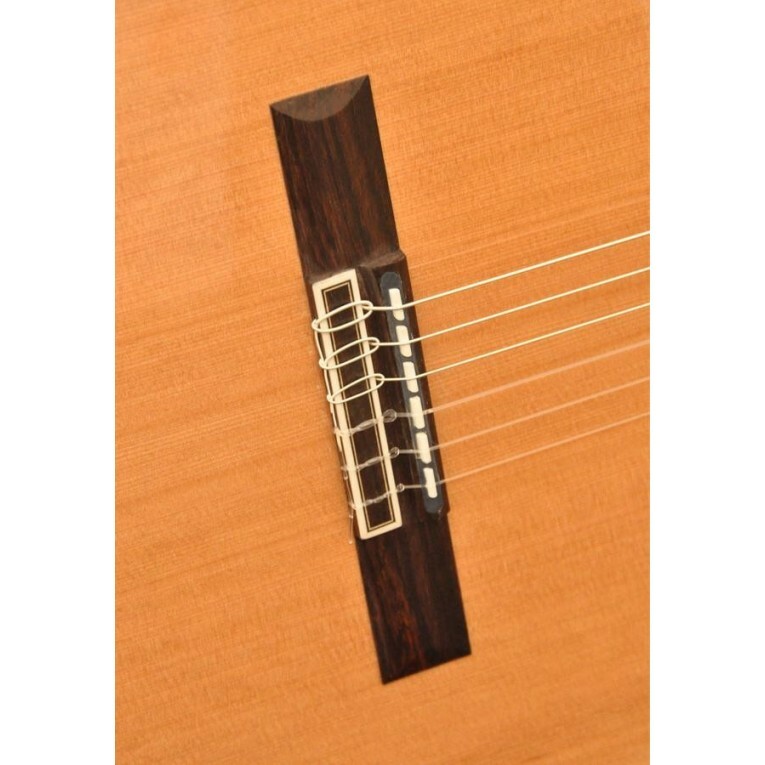 An ease playability at treble fret, thanks to cut-away body.